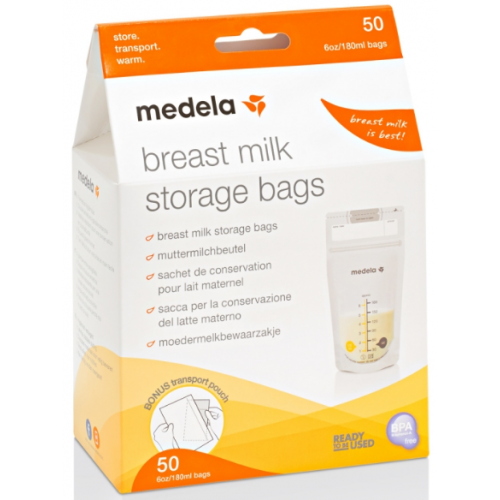 Medela’s Breast Milk Storage Bags make storage, transport and warming breast milk, convenient and hygienic. The easy to use flat shape is space-saving and makes thawing quickly. The double zipper and durable material makes the storage of your breast milk safe. 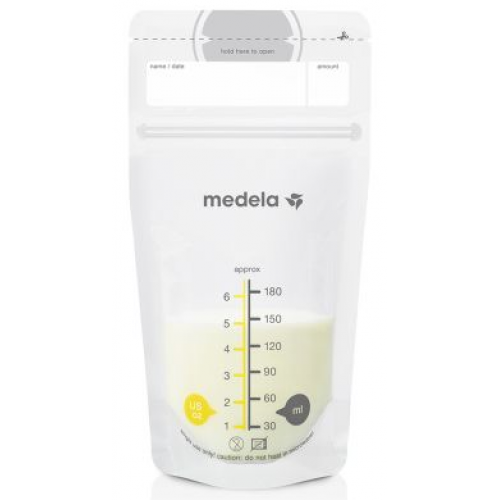 Medela's Breast Milk Storage Bags enables you to store extra breast milk in the fridge or freezer, so you baby won't need supplementary food or liquids if their demand changes. The ready-to-be-used Breast Milk Storage Bags make storing, transporting and warming of your breast milk, convenient and hygienic. The bags have a freezer-proof, double zipper protection to prevent leaking and are more space-saving than using bottles. The flat shape of the bags ensures milk thaws quickly and the durable material is safe for freezer storage. The food-grade, BPA-free bags have heat-sealed seams that prevent them from tearing, splitting or cracking. Every bag has a large area for easy labelling and dating. Pack contains 50 bags and come with a transport pouch to keep the bags clean and organized. The double-walled bags have a leak-proof double zipper, ensuring safe freezer storage. The bags are hygienically pre-sealed and the flat shape of the bags makes it quick to thaw breast milk. The large area for labelling and dating the bags makes it easy to keep track of your stock of milk. Lays flat for space-saving and requires less storage space than conventional bottles. 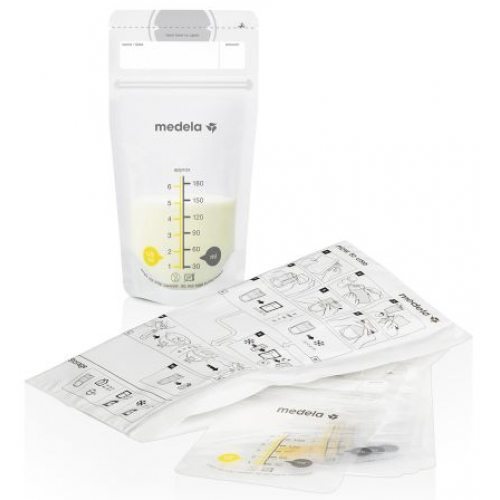 The breast milk storage bags -stand up for easy handling. Safe long-term storage without the loss of vitamins and nutrients. Easy labelling and dating lets you keep track of your stock of breast milk. Safe materials for you and your baby.